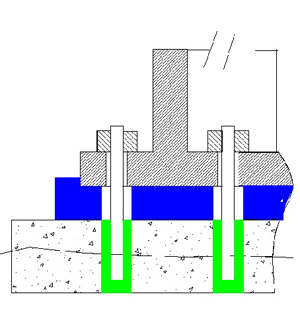 Unlike concrete, ALIGNIT precision grouts are nonporous, This means they are not subject to deterioration from freeze/thaw cycling and the compressive strength is 3 times that of conventional concrete. ALIGNIT grouts are made with high strength epoxy resin and high purity quartz aggregate. They adhere extremely well to steel and concrete.